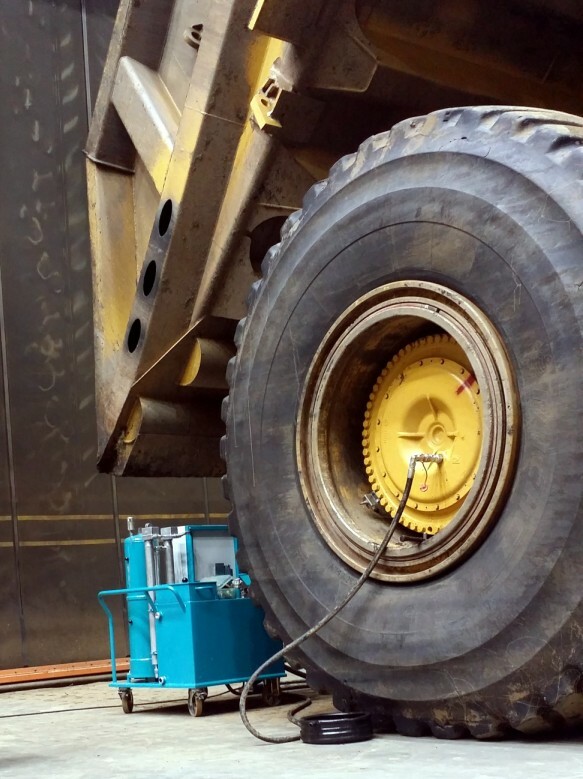 Haul truck differentials operate with heavily contaminated oil. The internal gears continually generate wear particles as they work under immense load. The dirt and metal particles in the oil, if not removed, will cause excessive wear and failure of critical components. Rebuilding components is expensive and increases fleet downtime. The Mobile Flushing Unit (MFU) does a hot flush of the differential system to clean the oil and the internal gearing. After 3-4 hours of continuous flushing the oil is cleaner than new oil from the barrel. Performing a hot flush on the differential shows a significant reduction in both dirt and ferrous metal particle contamination. In 4 hours we see a reduction of over 96% of the 4 and 6 micron particulate. Effective filtration at the scheduled maintenance intervals rather than doing an oil change allows oil to last 5-6 times longer.